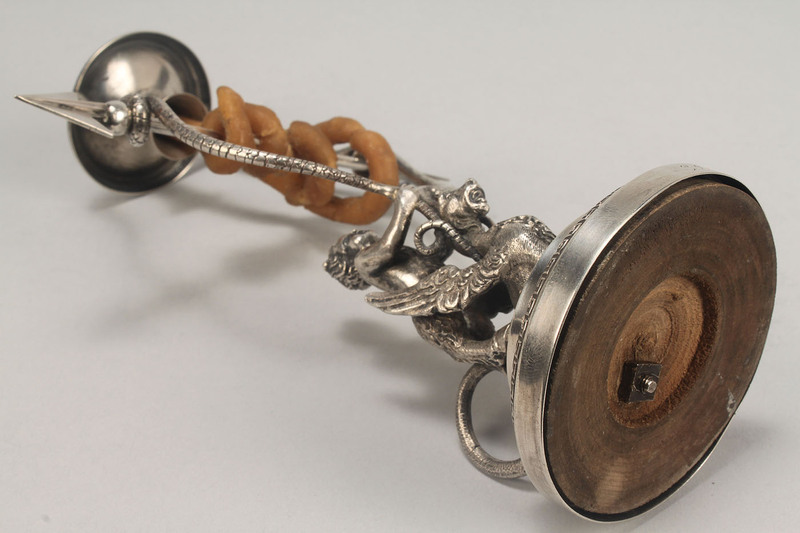 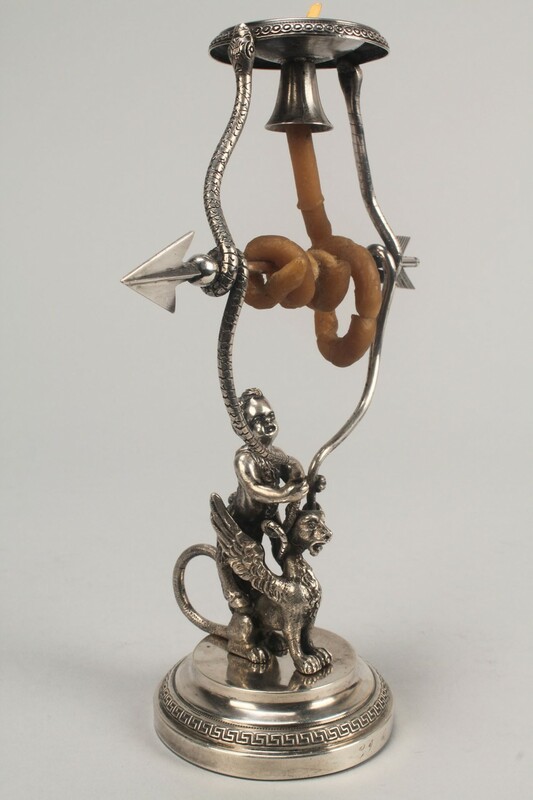 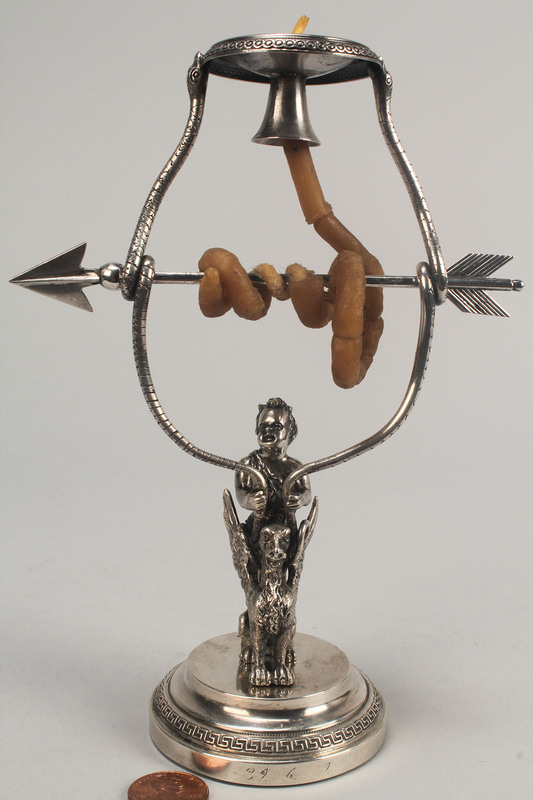 Rare silver wax winding candlestick or "wax jack" with figural support modeled as a faun standing on a griffin and holding two snakes. 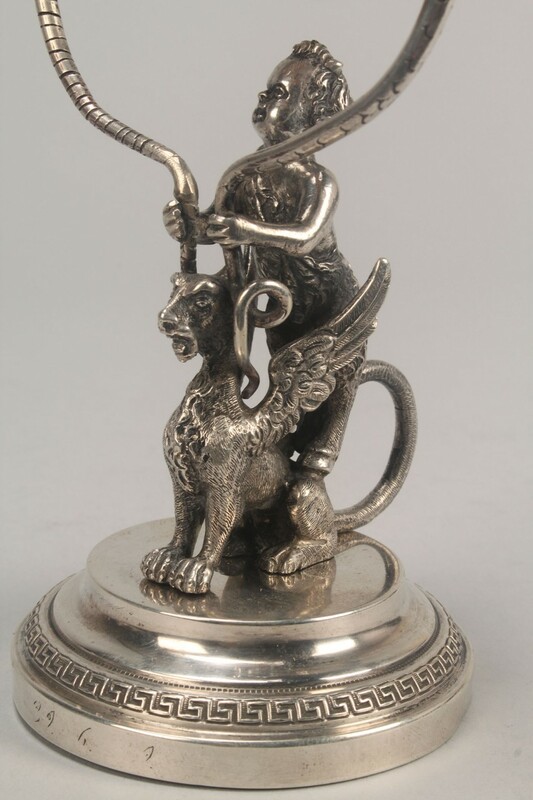 The griffin and faun are supported by a round stepped down base with Greek key border. 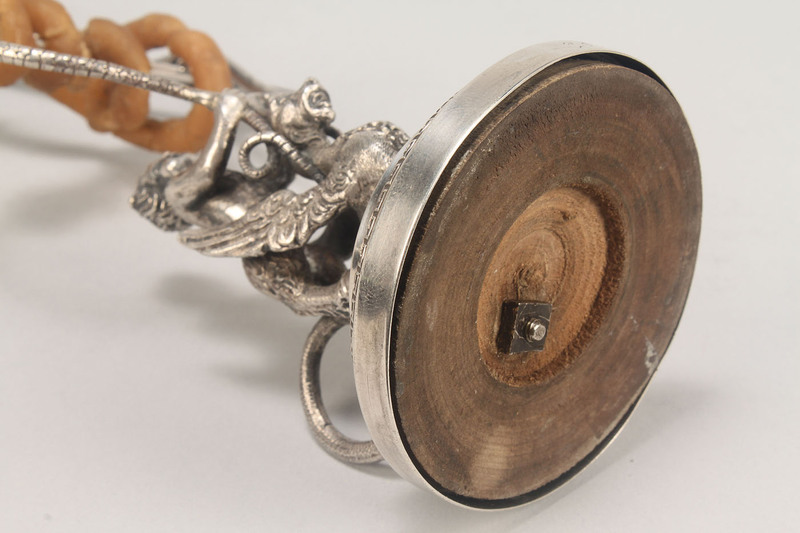 Arrow-shaped winding mechanism for the candlewick and round burner font. 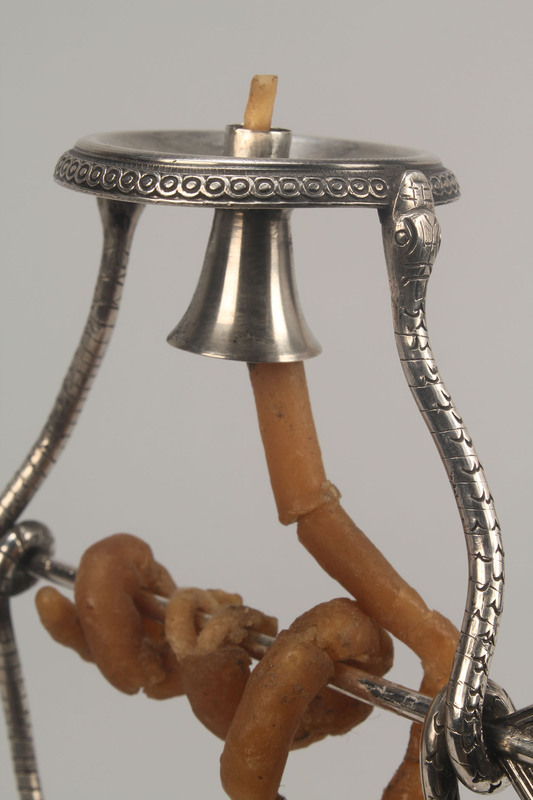 Faint script numerals on base, illegible. 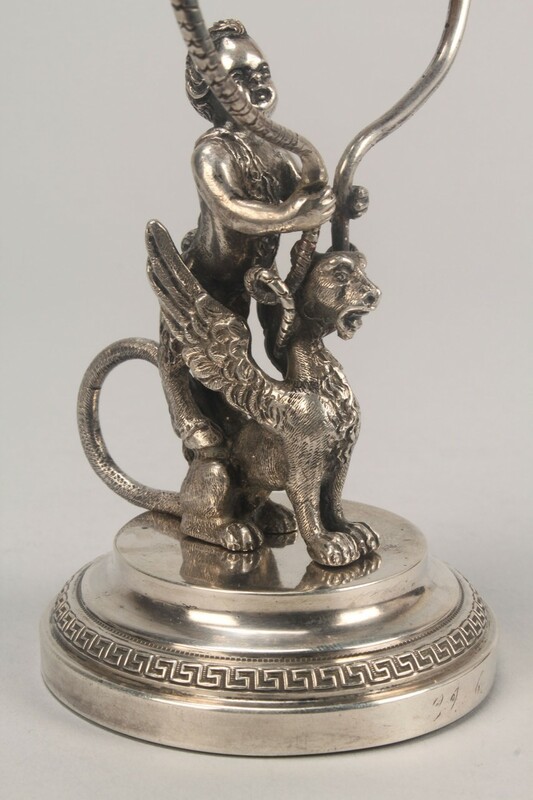 7" H. 19th century, English or American, coin silver or sterling. Condition: Very good condition.